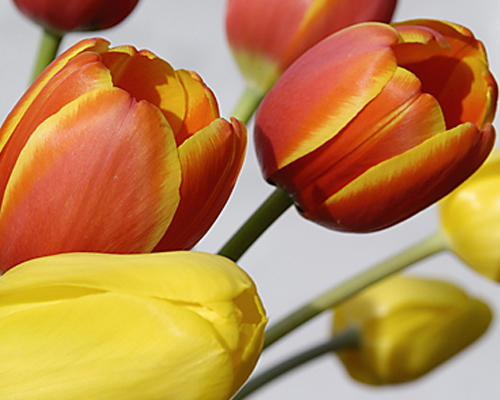 Upon arrival, cut 1" off the bottom of the stems and place Tulips in cold water. French Tulips continue to grow after arranging. Every day the flower will gain 1/4" to 1/2" in length per day.